One man's disappearance throws four women's lives into chaos--who will survive? Vicki works as an aromatherapist, healing her clients out of her home studio with her special blends of essential oils. She's just finishing a session when the police arrive on her doorstep--her ex-husband David has gone missing. Vicki insists she last saw him years ago when they divorced, but the police clearly don't believe her. And her memory's hardly reliable--what if she did have something to do with it? Meanwhile, Scarlet and her mother Zelda are down on their luck, and at eight years old, Scarlet's not old enough to know that the "game" her mother forces her to play is really just a twisted name for dealing drugs. Soon, Zelda is caught, and Scarlet is forced into years of foster care--an experience that will shape the rest of her life . . .
David's new wife, Tanya, is the one who reported him missing, but what really happened on the night of David's disappearance? And how can Vicki prove her innocence, when she's not even sure of it herself? The answer lies in the connection among these four women--and the one person they can't escape. Jane Corry is an author and journalist, and has spent time as the writer-in-residence of a high-security prison for men--an experience that helped inspire My Husband's Wife, her bestselling debut thriller, as well as her second thriller, Blood Sisters. 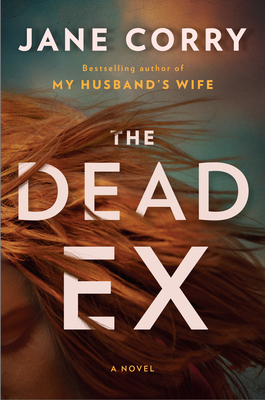 The Dead Ex is her third thriller. "Devilishly devious. . . this swiftly moving psychological thriller offers surprises right up to the finish."